Membranolytic anticancer peptides (ACPs) are drawing increasing attention as potential future therapeutics against cancer, due to their ability to hinder the development of cellular resistance and their potential to overcome common hurdles of chemotherapy, e.g., side effects and cytotoxicity. In this work, we present an ensemble machine learning model to design potent ACPs. Four counter-propagation artificial neural-networks were trained to identify peptides that kill breast and/or lung cancer cells. 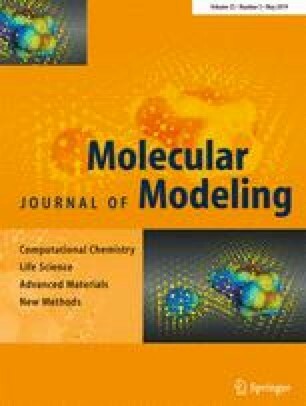 For prospective application of the ensemble model, we selected 14 peptides from a total of 1000 de novo designs, for synthesis and testing in vitro on breast cancer (MCF7) and lung cancer (A549) cell lines. Six de novo designs showed anticancer activity in vitro, five of which against both MCF7 and A549 cell lines. The novel active peptides populate uncharted regions of ACP sequence space. The online version of this article ( https://doi.org/10.1007/s00894-019-4007-6) contains supplementary material, which is available to authorized users. The authors thank Sarah Haller for technical support. This research was financially supported by the Swiss National Science Foundation (grants no. CRSII2_160699, no. 200021_157190 and no. IZSEZ0_177477). M.H. was financially supported by “Tobitate! (Leap for tomorrow)” study abroad initiative (Japan’s Ministry of Education, Culture, Sports, Science, and Technology [MEXT]). G.S., F.G., J.A.H. and M.K. designed the study. M.H., G.G., F.G. and C.S.N. produced and curated the dataset. M.H. performed the calculations and developed the models under the supervision of F.G. and G.S. ; F.G. analyzed and validated the models; C.S.N. designed and supervised peptide synthesis and in vitro experiments, and analyzed the experimental results. All authors discussed the work and provided feedbacks and ideas. F.G. wrote the manuscript. All authors contributed to manuscript revision and approved the final version.